Brief History : Collectables is a budget record label founded in 1980 by Jerry Greene. This release is part of the collectables "Back To Back Hit Series". 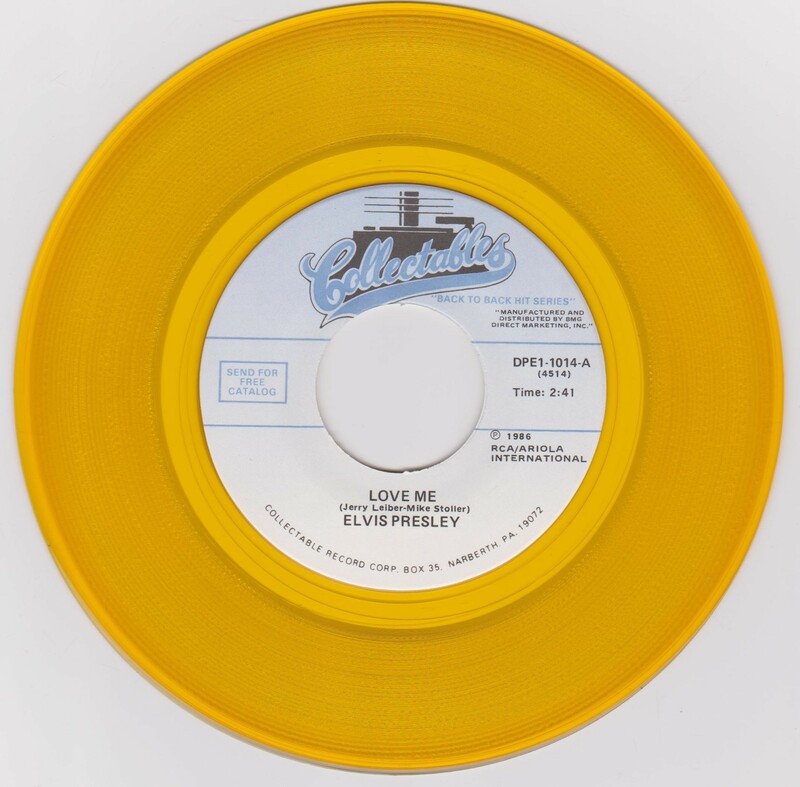 It was released by the Collectable Record Corporation. 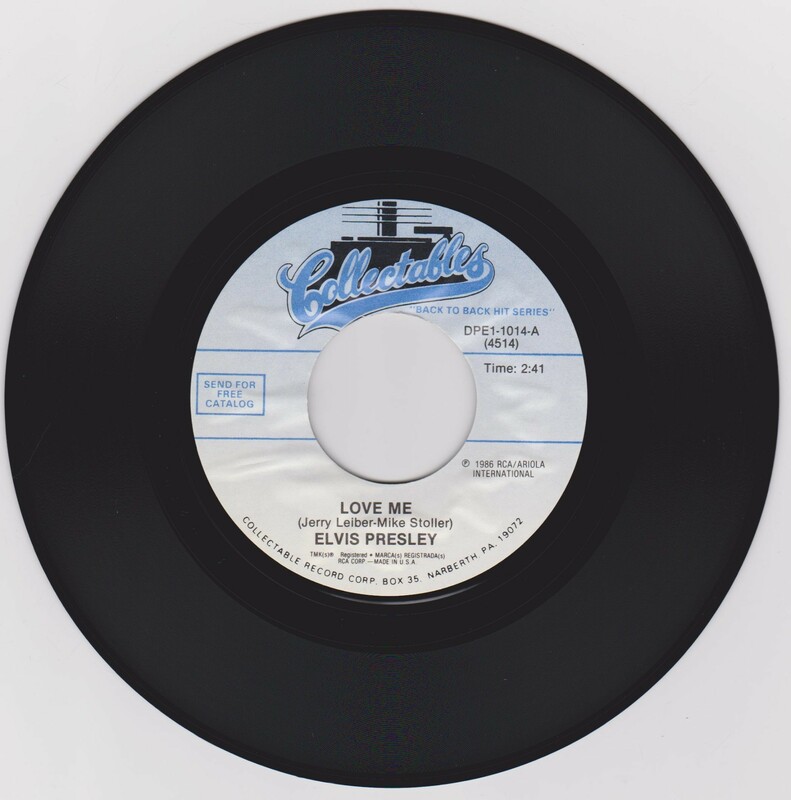 This is a first time release for this 45 though both songs were released previously. *NOTE* Gold vinyl issue. Labels are different. The black vinyl label has the 1986 RCA / Ariola on 2 lines and on the gold vinyl it is on 3 lines & the font been different. 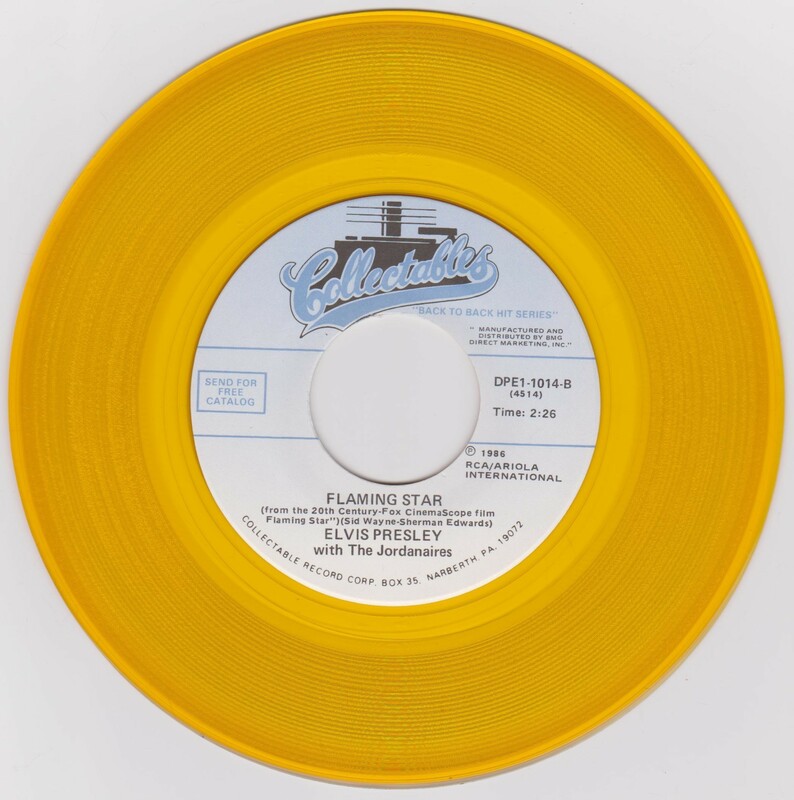 Under Elvis Presley the TMK(s) is missing on the gold vinyl. The catalogue number is above the lines while it is between the lines on the gold vinyl. On the gold vinyl it has the manufacturer details above the catalogue number but does not mention this on the black vinyl. 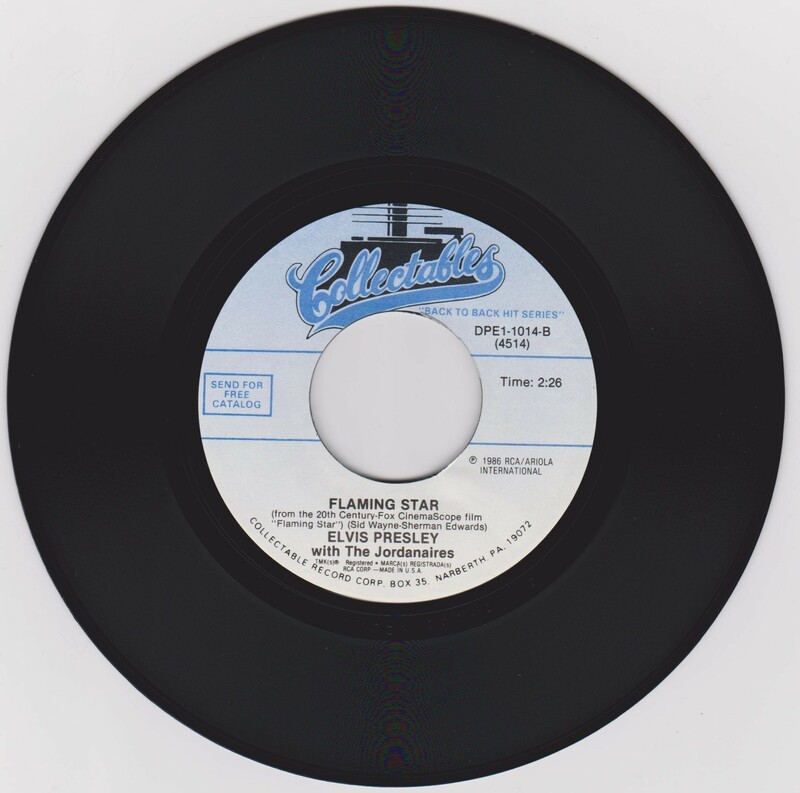 The B-side has same layout.